To celebrate World Book Day we all got dressed in our pyjamas and had parents, grandparents and carers visit the class and they shared some stories with the children. We also drew pictures of our favourite books and talked about why the book was special to us. (Please click on the link below to view some pictures of the day). 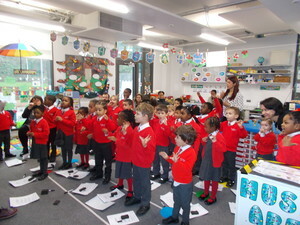 St Francis class went on a School trip to the Maritime Museum and the Cutty Sark. We pretended to be sailors and steered the ship, shovelled the coal into the fire, sold fish and cooked some delicious sea food. We also explored the Cutty Sark and found out how the ship got its name. Finally, we made figureheads for our own ships. 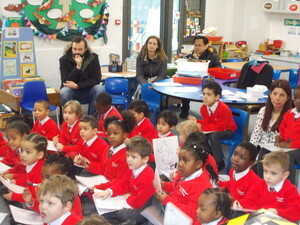 Reception parents came in to watch Phonics teaching sessions in both reception classes over two days. 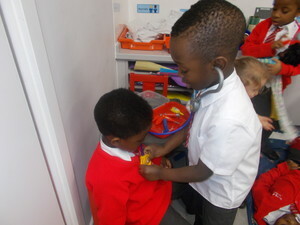 The school uses Synthetic Phonics to develop children’s early reading and writing skills. 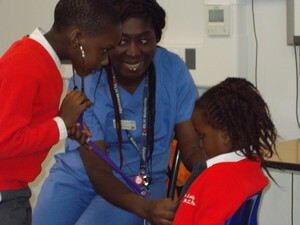 Parents had a first-hand experience of what the sessions entail. Parents were shown different blending and segmenting techniques they can use when supporting their children at home. 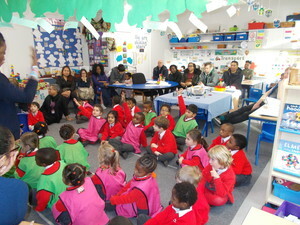 Addition was the focus of the parents workshop on 29th and Tuesday 30th January. Parents observed two teaching sessions where teachers used different play methods and resources to teach the concept of addition. 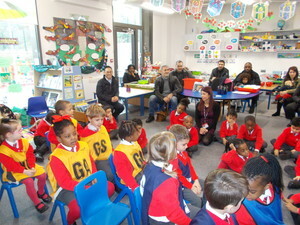 Both sessions were well attended by parents. Feedback given by parents confirms that they found the sessions very helpful. 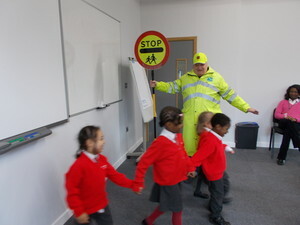 Children in Reception classes were very lucky to be visited by a Midwife, the Police and our local Crossing Patrol Officer. 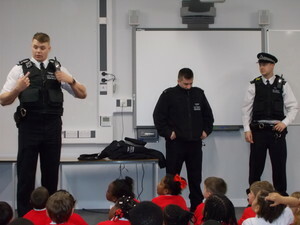 They explained to the children what they did as part of their job and even let them try on some of their uniforms and use their equipment. It was very interesting and fun. Thank you to everyone who came.